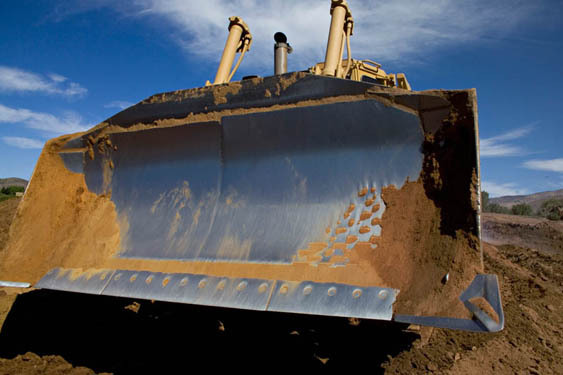 This bulldozer is preparing the ground for a new house. I provide industrial images all over Southern California. In addition to showing work related images I do photos to document projects. I have also done industrial images in Colorado, Illinois and Nevada work with both digital and film equipment. My office is in Agua Dulce, near Santa Clarita and Valencia. My studio is in the West San Fernando Valley. I would be glad to work with you in any area of Southern California: Los Angeles, Ventura, Westwood, San Diego, Orange County, Beverly Hills, Chatsworth, Sherman Oaks, and anywhere else.